I call this my Thanksgiving meal for two! While at my boyfriend’s apartment this weekend, I was feeling particularly festive and decided I wanted to tackle some Thanksgiving recipes. As I sat there pondering what type of stuffing I wanted to make, it dawned on me how many leftovers I always have after Thanksgiving. So how was I going to create a Thanksgiving meal for two? Time to get creative. Cranberries and sweet potatoes are a must for me at Thanksgiving, as is, of course, turkey! 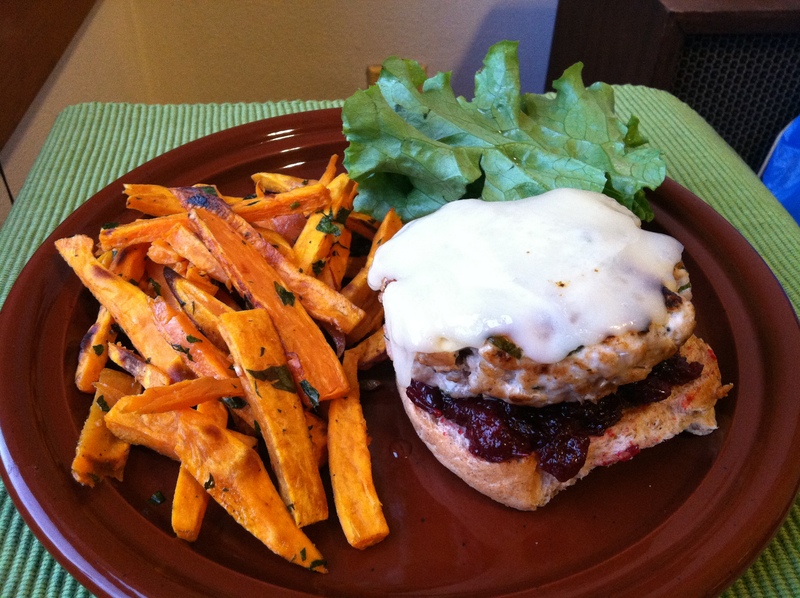 From there the pieces sort of fell together and bing, bang, boom, turkey burgers with cranberry and sweet potato fries! Perfect if you want the Thanksgiving feel with a tight budget or small crowd. 1. 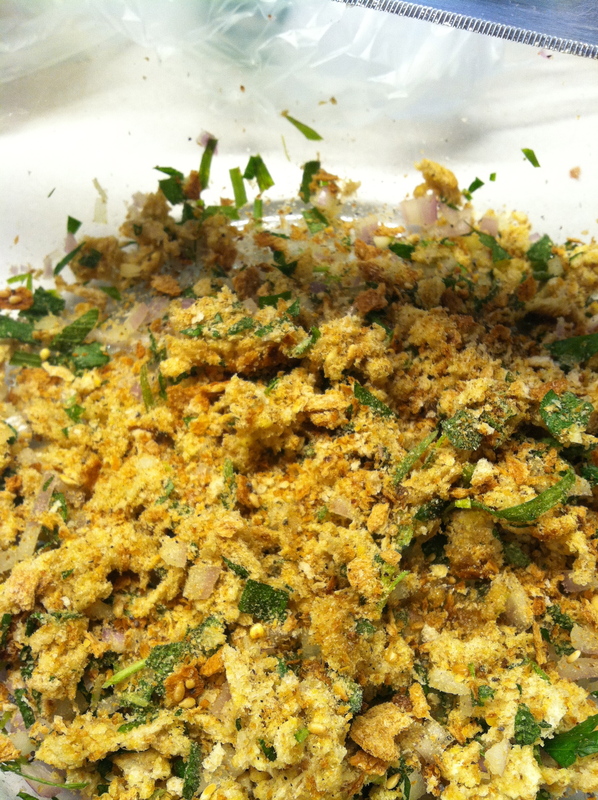 Mix the bread crumbs, fresh herbs, shallot, salt and pepper in a large bowl. 2. Add the ground turkey breast and mix to combine. 3. 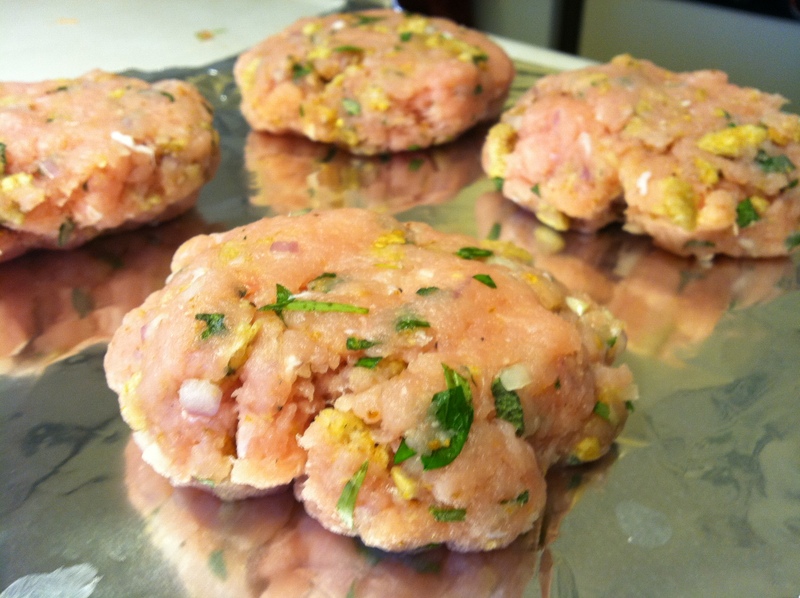 Form into four patties, about an inch thick. Grill for 8 minutes on each side, or until cooked through. 4. Melt the cheese onto the burgers, remove from heat and place on a bun topped with cranberry sauce. 5. Serve with sweet potato fries and enjoy! 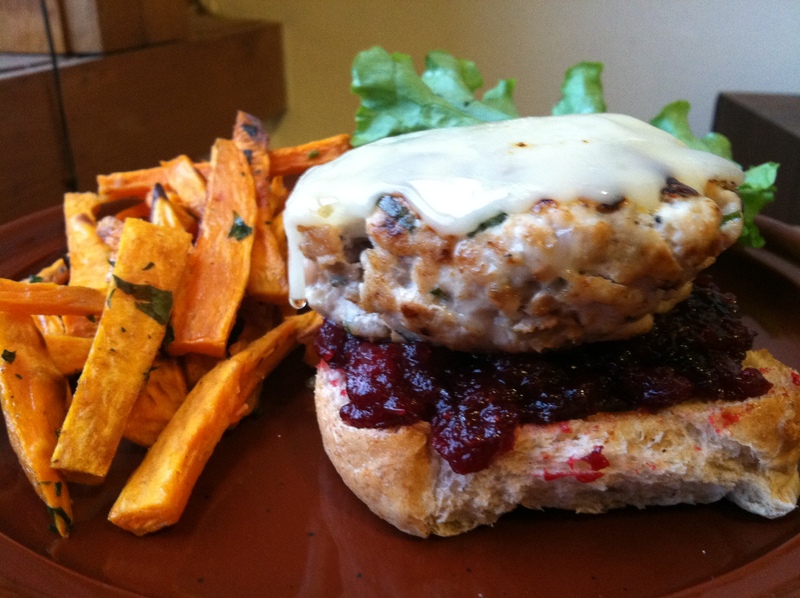 This entry was posted in Uncategorized and tagged Burger, Cranberry, Sweet Potato Fries, Thanksgiving, Turkey Burger by theculinarycapers. Bookmark the permalink. This looks unnecessarily delicious. I want it NOW! Maybe I’ll make you some with turkey leftovers because I’ll see you after Thanksgiving! Yay!